How to configure Pennytel on Android Mobile or iPhone | Free Pc to Phone Calls, Free Voip Calls to India International ! Pennytel free calling offer is getting some attention. People have mailed us that they have successfully registered with Pennytel 10M million mins and have started using Pc to Phone calling service. You can always refer to our tutorial on configuring nimbuzz with Pennytel and start making Pc to Phone Calls. But if you have a smartphone specially Android Mobile or iPhone, then calling is more easy. You can directly make free calls from your android/iOS mobile following some simple steps. One of our readers asked for a tutorial on confiruing Pennytel on Android Mobile, so we decided to go ahead with a step by step tutorial. Most part of the tutorial is similar to setting up on PC, where you have to create one account with Pennytel and save your SIP settings (userName and PassWord). Please note that below tutorial is based on Android Mobile, but you can follow on similar lines for iPhone, or any other mobile (Nokia, Windows based etc..). - Login to your account. 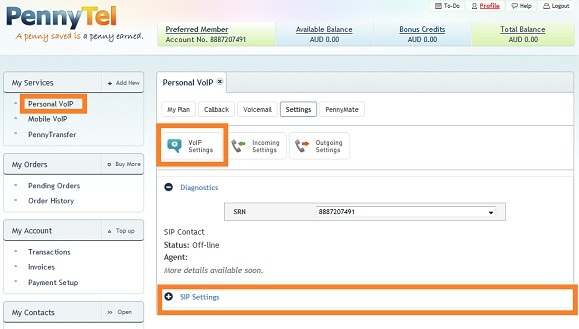 - Click Personal Voip Tab and Select Settings. 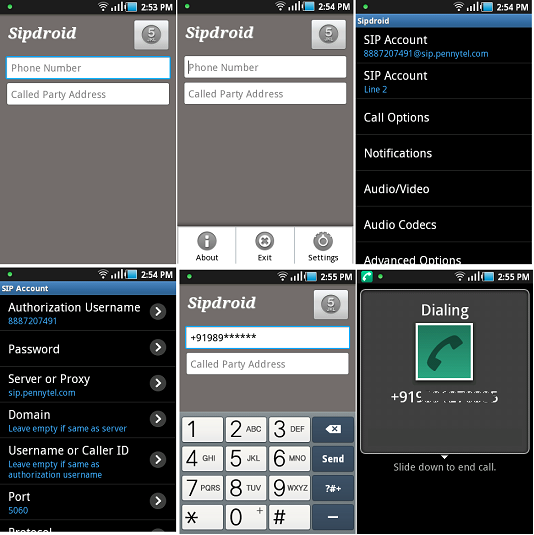 - Keep a note of two things : "Your IP Phone Number is: xxxxxx" and "Voip Password : yyyyyy"
- Select the "SIPDroid" Application. - Install this app on your android mobile. - Enter Password, which you saved in Pennytel. - Save this. You will be connected to Pennytel account. - Please note all the above require that your account is connected to internet. - Dial the number with country code. - Your call will get connected shortly. Enjoy! If the above client is giving you issues (or it didn't worked because of any reason), then you can try using Nimbuzz voip client for Android Mobiles. Just follow the few initial steps of above tutorial, in order to get the SIP settings of your Pennytel Account. After that, follow the tutorial to setup SIP on Nimbuzz Android Client. Still having trouble connecting your mobile and making free calls. No issues, you can try making Pc to Phone Calls. Follow the below tutorial. But I cannot hear and also the party cannot hear any voice. My comment sent yesterday wasn't approved. I setup everything. But I cannot hear and the party cannot hear any voice. Can you help ? I also faced similar issue sometime back. 1) First try that your webcall method works. Original post has a tutorial for that. 2. 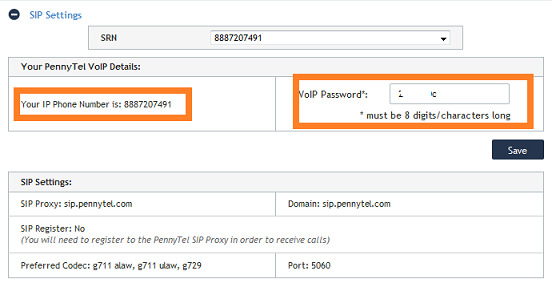 You can also try configuring some other voip provider with same (pennytel) sip settings. See if that works. 3. Make PC to Phone Calls with Nimbuzz. This will work for sure... Positive!